Wedding season is coming soon, which means brides and grooms are probably getting their wedding checklist a hundredth revision. There are tons of things to plan and decide, and when bride and groom are on the same page, it's a breeze, but there's one thing that's usually a bit more complicated for all of us. For me, particularly, choosing my bridal party was easy. Choosing what they would wear, on the other hand, not so much. I had to keep in mind their body types, personal style, budgets, and even skin color (cream would never flatter my palest friend). So, having a lot to consider, I needed an extra hand. So, after some trial and error, I finally found the perfect dress that made my entire bridal party look amazing. 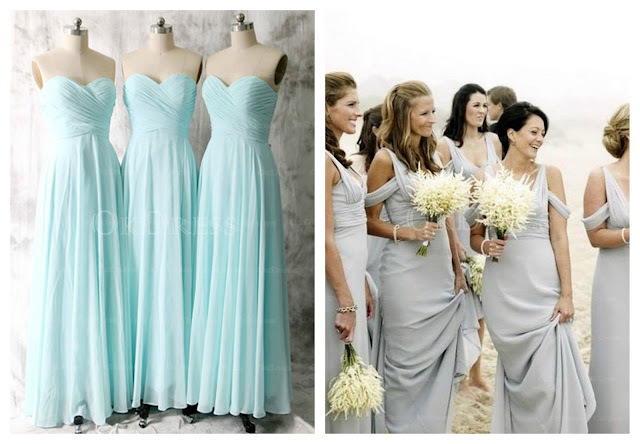 Here's what to keep in mind to find and choose a style of bridesmaid dress that flatters. Unfortunately, more often than not the bridesmaids will not be the same shape, nowhere near. Often, bridesmaids are different ages, shapes and sizes. Therefore, dressing them exactly the same is rarely a good idea. A style that looks great on your curvy friend, and flatters her figure, is likely to look terrible on your skinnier bridesmaids, and vice-versa. Fortunately, there is an easy way around this issue, and that is to use the same colors and fabrics, but vary the style and cut of each dress, slightly. That way every bridesmaid is able to wear a dress that works, and flatters her body shape. You do not necessarily have to make many changes. For example, a sheath dress will only need to be adjusted slightly to suit most body types. Using high quality materials, and good corsets, lumps and bumps can easily be smoothed out enough for everyone to feel confident wearing this style of dress. A-line cuts work really well for practically everyone, including those with apple shaped figure. Usually, moving the waist up slightly is enough to create a flattering silhouette. Simple things like offering your bridesmaids a choice of sleeve lengths can also make a huge difference to how good they look, and, importantly, how comfortable they feel. A friend with well-toned arms is going to feel happy wearing a short-sleeved dress, while someone with flabby arms is likely to prefer longer sleeves. If you want everyone to look as similar as possible, the best approach is to opt for ¾ length sleeves. 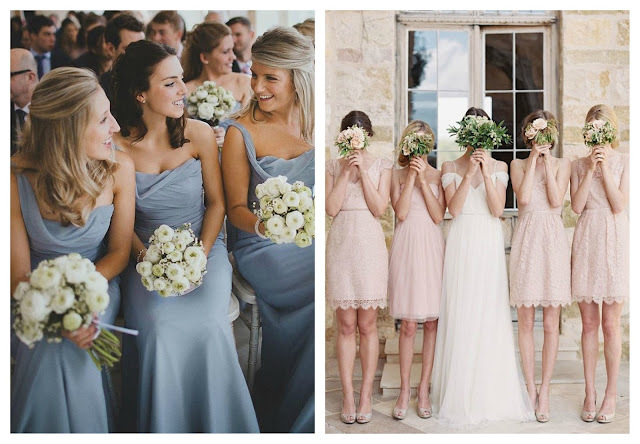 Another option is to give each bridesmaid the chance to accessorize slightly differently. Perhaps offering those who want to cover up a bit more the chance to add a shrug, or wrap, to their outfit. As you can see, there are plenty of ways to make sure that your bridesmaids look their best, on your special day. 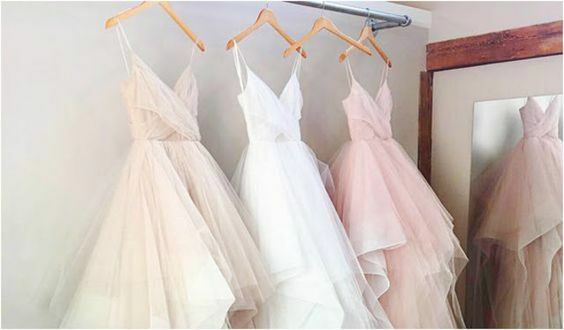 If you are looking for inspiration and bridesmaid dress ideas, OKdress is a great place to find some. I particularly like the fact that many dresses sold there are designed to flatter every figure from the skinniest to the curviest. And their wide selection of dresses work for every wedding theme.